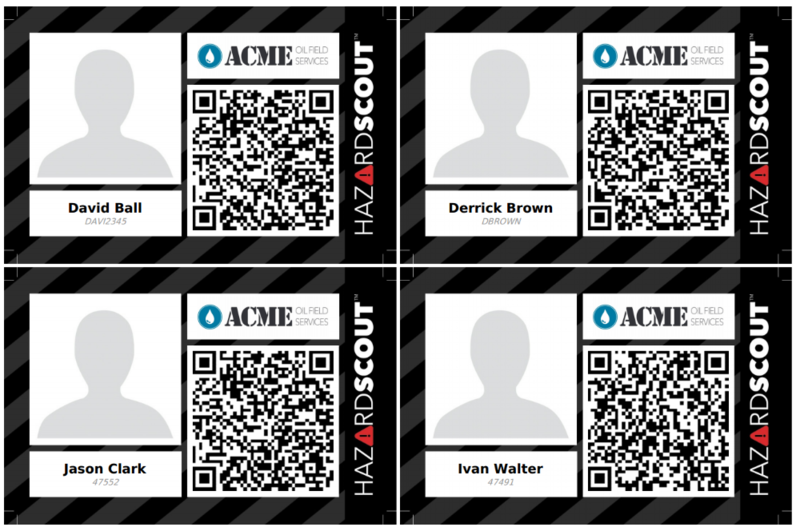 Hazard Scout automatically assigns a QR code to employee profiles and to equipment profiles. These codes can be scanned within the Hazard Scout app to quickly view a profile, complete an inspection, etc. Press the arrow next to "Search" and choose "ID Cards"
You can export equipment QR codes to a PDF which is easily printable on standard Avery Templates. We recommend black laser ink on white glossy paper where the QR code is at least 1.25". Hazard Scout offers special sticker paper which is of a higher durability than standard avery labels ( contact us for more info).